On my first liveaboard in The Red Sea, we visited Middle Reef for a night dive on the first day. it is a site rarely visited by the day boats as it is quite far from the port and is quite exposed. 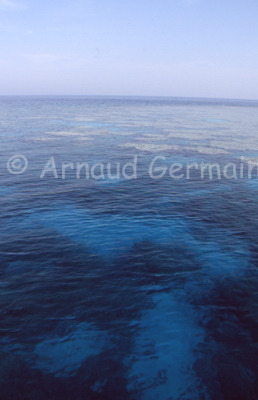 The reef is really scattered with clumps of coral almost touching the surface, surrounded by sandy plains. I got really lost on the dive but it was good fun!